“She has a brain tumor.” I hated those words. My sweet, never-hurt-anyone’s-feelings-on-purpose (except maybe her brothers’) daughter had a tumor in her head. That was why she tripped more than usual and her hand rested in strange positions. And if we didn’t go in for neurosurgery, her movement, her sight, and her mind would all get worse. But back up. My worst day? What about my daughter? She was the one with the tumor. How did she feel? How do you help a girl who just found out doctors would be messing around inside her head? Frankly, I didn’t know. 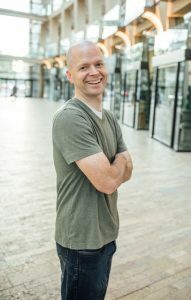 In hindsight, my wife and I didn’t do everything right, but we did a few things that really helped. Now, I try to refer to many of these tools whenever a stressful situation arises and the impact has been nothing but positive. Our doctor was respectful and honest about Maddie’s situation with us and we followed his lead. When we talked to Maddie, we didn’t dance around the possible dangers of the tumor and the surgery, but we didn’t focus too much on them either. We spoke a lot about the advantages, and we spoke optimistically. That showed Maddie respect and allowed her the chance to be brave. Of course, you have to keep a child’s age and maturity in mind when talking to them, but I believe being upfront allowed us to tackle the tough situation all together. Despite all the nervousness, we tried to list what we could be grateful for: Good doctors, including one of the best neurosurgeons in the world. Nice nurses. Fantastic medical equipment. A lot of people loving, supporting, and praying for Maddie. Decent French fries in the hospital cafeteria. All the slushies Maddie wanted. The list went on. It may sound formulaic or even cheesy, but it helped. We had a lot going for us. And we realized that if we lived in a different time, the tumor would have gradually taken Maddie. We became grateful for even having a good chance to beat it. My daughter wasn’t terrified in all the same ways I was. And if I just assumed we were the same, I don’t think I would have been as helpful. For example, one of her worries was that she wouldn’t recover in time to really enjoy Christmas. That wasn’t even on my radar. Giving her a chance to talk helped me know what she was worried about. One of the worst parts about a lot of stressful situations is that so much of it may be out of your control. A child can’t keep their parents from divorcing. A second grader can’t control a bully. We couldn’t just wish the tumor away. But we could put Maddie in charge of some decisions. She decided to keep going to school the weeks before surgery so that life felt normal, but she wanted a few weekend trips to help keep her distracted. She decided to let others know about her tumor so that they could support and pray for her, but she wanted us to tell them. And we asked her what else we could do to help. Sometimes she just wanted a hug, or for my wife to lay on her bed with her while she fell asleep. Sometimes she didn’t know what to say, so my wife and I would give suggestions and she would pick one. We tried to give her some control during a very out-of-control time. A good laugh can make anything a little better. Allow yourself a break, a time to relax and enjoy. And try your best not to feel guilty about it. To this day, we have great memories of jokes, treats, misunderstandings, and enjoyable conversations we had during the worst time of our lives. I realize we don’t want to tell everyone about every stressful situation we have, but if it’s appropriate, telling others we know and trust allows them to help. And the more stressful the situation, the more help we need. Maddie was okay with us letting others know; and they came through in a big way. Gifts, tending Maddie’s brothers, visits, restaurant food delivered to the hospital, and hundreds of supportive messages to our girl. And there was a lot more. Accepting the help was difficult at first, but the overwhelming amount of support made all the difference. 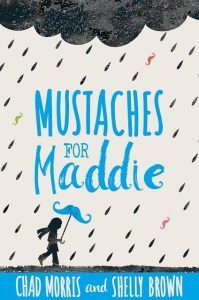 Chad Morris is a teacher, curriculum writer, and author of Mustaches for Maddie —now available for pre-order and everywhere on October 3, 2017.